Jharkhand Staff Selection Commission has announced PGTTCE Notification 2017. JSSC conducts Post Graduate Trained Teacher Competitive Examination (PGTTCE)-2017 to hire exciting job seekers for 1540 Post Graduate Trained Teacher vacancies. Interested Candidates can apply online for JSSC PGT Teacher Recruitment 2017-18. The Online Applications are open from 11.12.2017 to 10.01.2018. Download The JSSC PGTTCE Notification Pdf and Apply Online @ www.jssc.in. Latest Update: Jharkhand Staff Selection Commission has released 1540 PGT Teacher Job Vacancies. The JSSC Online Application Dates are extended. Pay Attention: The JSSC PGTTCE Application will be active from 11th December 2017 time 11:00 am to 10th January 2018 time 12:00 AM(Mid Night). The Applicants can pay the Exam Fee upto 16.10.2018 Online and the last date for editing Online application is 20.01.2018. Are you in search of Jharkhand Government Jobs??? Jharkhand PGTT Competitive Exam notification 2017 has released to fill 1540 vacant Post Graduate Teacher posts. This will be a great bonanza to the Jharkhand Residents. Interested Candidates can apply for JSSC PGTTCE Recruitment 2017 online before the last date, i.e. 30th December 2017. The Jharkhand Job Hunters, who are passionate about teaching can apply for JSSC PGT Teacher Jobs, only after confirming the eligibility requirements according to the JSSC PGT Notification 2017. Jharkhand Staff Selection Commission recruits many people as Post Graduate Trained Teachers every year. Like that, this year also JSSC PGT Teacher Recruitment Notification published with large no.of vacancies i.e 1540 Posts. The Candidates can apply for Jharkhand SSC Teacher Jobs from the official website. Jharkhand Staff Selection Commission accepts only online applications for JSSC Teacher Recruitment 2017. 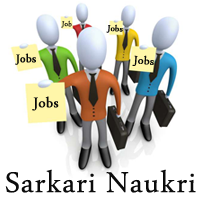 If you don’t want to miss any Government Job Notifications, follow Sarkari Naukri Page. The JSSC Notification essential details such as eligibility criteria, application procedure, pay scale, JSSC PGT Teacher Recruitment process are provided in the following sections. Jharkhand Staff Selection Commission Post Graduate Trained Teacher Subject wise JSSC Vacancy 2017 as specified in the above table. For more detailed JSSC Teacher vacancy information refer official notification. Download JSSC PGTTCE Latest Notification Pdf. We all know that Eligibility criteria are the significant factor. Because the Jharkhand board allows the contenders to apply for the JSSC PGT Teacher Recruitment 2017 only when they fulfil the eligibility requirements. Hence, all the aspirants have to confirm their eligibility before applying JSSC PGTTCE Recruitment 2017. In order to become eligible, candidates must fulfil the educational qualification and Age limit requirements as given in this section. The Candidate applying for Jharkhand PGT Teacher Recruitment Should have PG degree in relevant departments/ Subjects with minimum 55% marks and B.Ed. Minimum 45% allowable for SC/ST candidates. The applicant should be of age minimum 21 years old and maximum of age as mentioned below to apply for JSSC PGT Teacher posts. Here in this section, you can find the additional details of JSSC PGT Teacher Recruitment 2017 such as important dates, pay scale, selection procedure, JSSC Online application fee. The JSSC PGT Teacher will get a salary of pay scale as specified in this section according to the JSSC PGTTCE 2017 Notification. Rs. 9300 – 34,800/- + Grade Pay 4600/-. The Selection process of Jharkhand Post Graduate Teacher Recruitment 2017 will have the following two stages as per the JSSC Notification 2017. The candidates have to pay 600/- as a Jharkhand PGT Online application fee. The Jharkhand Residents need to pay 150/- along with Bank charges. 150/- for SC/ST candidates of Jharkhand. After Confirming the eligibility criteria regarding JSSC PGT Recruitment 2017, the aspirants can apply for the JSSC Teacher Recruitment process. Here in this Section, you can see some step by step procedure on how to apply for PGT JSSC Recruitment 2017. By following the below procedure the applicants can apply online without any difficulty. How to Apply for Jharkhand Staff Selection Commission PGT Recruitment? Click on the JSSC PGTTCE Exam 2017 Apply Online link. After completion of Online Registration, Login to the JSSC Online Application. Fill all the jssc online form mandatory fields with proper details. Attach required documents in specified format and size as mentioned in JSSC Notification. check all the details once before submitting the Jharkhand PGT Application form. Finally, Take a printout of your JSSC Online Application form for future reference. Apply Online for JSSC PGTTCE Recruitment 2017. Download JSSC Jharkhand PGT Recruitment 2017 Notification Pdf. Click here to Visit JSSC Official Website. Refer the Official website for further updates on Jharkhand Staff Selection Commission recruitment 2017 frequently. We will provide exact information according to the official JSSC PGT Teacher Recruitment Notification. Candidates can post their queries to us through the comment section below if any. Meanwhile, Bookmark our site for furthermore updates on Latest Government Job Notifications. Therefore, you will get fastest updates on Job alerts.